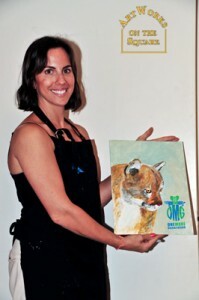 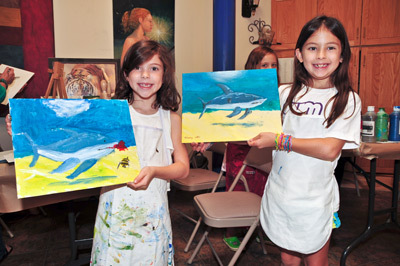 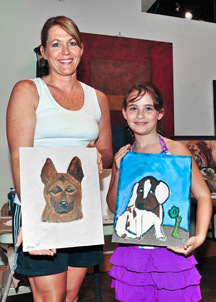 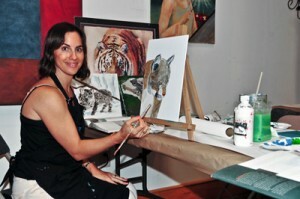 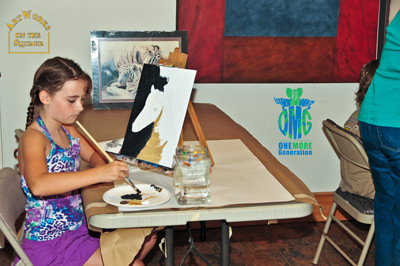 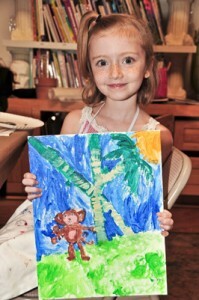 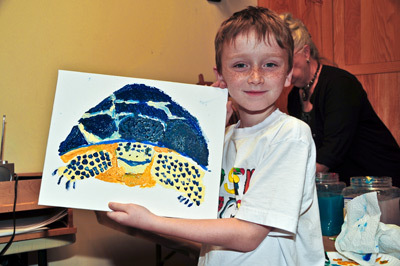 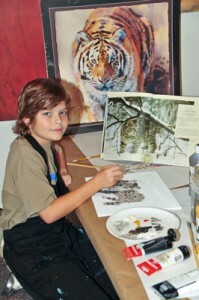 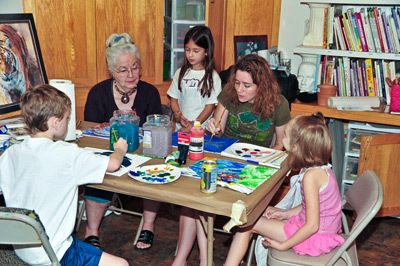 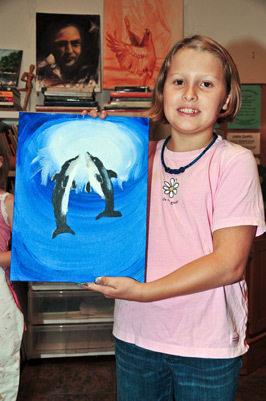 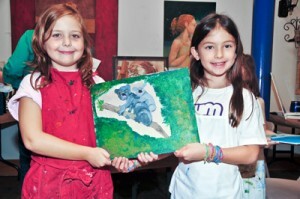 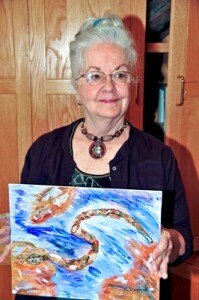 Carter and Olivia just held their first Art Class Fundraiser and we wish to send a special thanks to Kathleen Brewer. 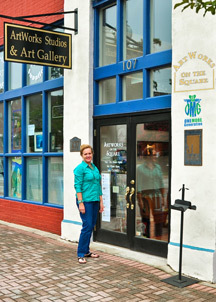 Owner and artist extraordinaire of the famed “ArtWorks On The Square” in Fayetteville GA.
and some even painted pictures of those species who may not be on an endangered list but were just close to their hearts. The ArtWorks On The Square will be hosting our Silent Auction on Saturday, Sept 11th from 2:00 to 5:00 PM. 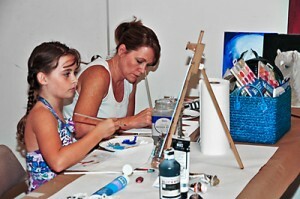 Stop by and enjoy the fun as family members compete to see who will win the bid for their favorite pictures. We will also have a few autographed items which were kindly donated by “Jungle Jack Hanna” (as seen on the Dave Letterman and Jay Leno Show), and several great watercolors of various endangered species painted by famed local artist Dylan Scott Pierce.